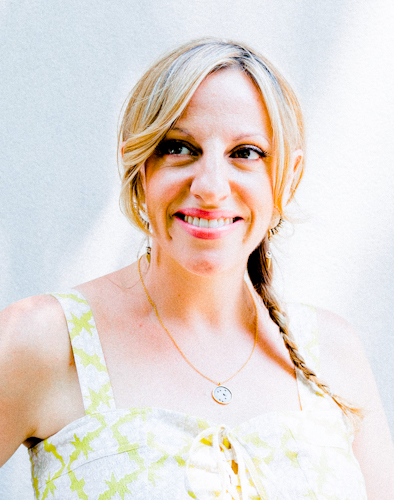 We are excited to introduce you to Magic Maker and Astrological Maven, Tali Edut! Tali and her twin sister Ophira are best known as the AstroTwins, the "astrologers to the stars." Astrological sign? Sagittarius. Capricorn Rising, Scorpio moon. Cancer Past Life (South Node). What characteristic do you most identify with your sign? I like to have friends from all walks of life. I respect honesty and have a strong B.S. detector. I am an optimist. I love to laugh. And love to see things as happening for a reason. What was your most memorable astrological moment? Reading Steve Wonder’s chart backstage at an awards show. He even sang “happy birthday to ya" to me while I was talking to him because it was actually my birthday that day. I read Gwen Stefani and Beyonce’s charts that day as well. Beyonce was super sweet and genuine. Who is one of your your favorite celebrity clients? Dina Manzo from the Real Housewives of New Jersey. She’s a good human on a wacky show. She’s smart, hilarious and she keeps it real. She wants to do good in the world and wears her heart on her sleeve. But honestly, I love working with “everyday people” more than celebs because they tend to be less guarded and we can do some deep work. What impacts our lives energetically the most besides other humans? That calling – everyone comes here with some purpose. Everyone is a puzzle. We often try to numb it out, but surrendering to it can help us to fall in love with ourselves. Self-acceptance is the key to everything. I love it when people see and understand their charts and accept who they are. What is most rewarding about your career? Helping people on their path of discovering who they are. I feel high after a reading. Favorite drink? Angels Envy, a nice smokey bourbon. Family: My Mom is a Rabbi and my Dad is an Israeli landcaper. My mom is really involved in helping to rebuild my hometown of Detroit right now. My little sister, Leora, started www.goddess-onthego.com and puts together women’s events. My twin sister, Ophira, the other half of the AstroTwins lives in NY and has a 10 month old daughter. How are you and your twin sister, Ophira, different: We are both creative, but she is the more traditional and business twin. I’m the more bohemian twin. I feel really lucky to have a twin sister. First job: My first job was doing calligraphy wedding invitations and certificates with my sister. We were 9 years old. Past life? I 100% believe in past lives. I was a mother, a chef, a restaurant owner and an interior decorator. I worked a lot with women and was very domestic and maternal. If you weren’t an Astrotwin, what would you be? A journalist creating empowering media for women. If you could have one wish come true, what would it be? That my dog Wendell could live forever. Who is your idol or mentor? Steve Wonder. He comes from a pure place of creativity. He fills the room with angelic energy. He projects love outward. He is a great example of human potential. What is one thing your friends would be surprised to know about you? I’m a pretty open book….I gush and tell my friends everything. But I think they’d be surprised to know how much I actually work. I come across as fun loving but I spend most of my days at my desk. Where do you go to find inspiration? Karaoke. Singing ridiculous pop music recharges me. It’s breath work for me. I also love to go treasure hunting. Finding a needle in the haystack at the Goodwill makes me happy. I also love to walk around old neighborhoods like Brooklyn and Capitol Hill. Anything else you would like to share? You can do your astrological chart for free on my website at www.astrostyle.com/free-chart and find out where all of your planets are!